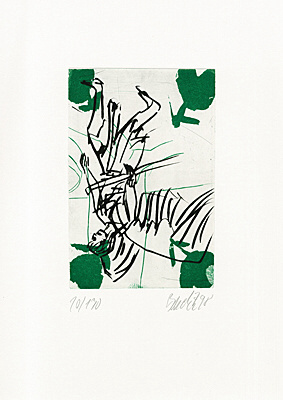 The German painter, draughtsman, printmaker and sculptor Georg Baselitz is one of the most important artists of our time. 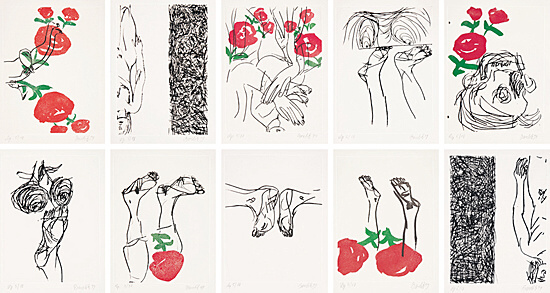 With his radically expressive style, his work influenced figurative painting in the second half of the twentieth century. 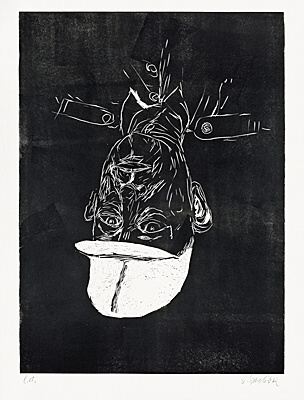 Born in Deutschbaselitz, Saxony in 1938 as Hans-Georg Kern, he adopted the pseudonym Georg Baselitz in 1961. 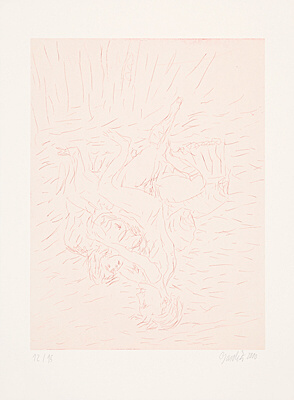 The inversion of his motifs became a trademark of sorts and brought Baselitz acclaim. 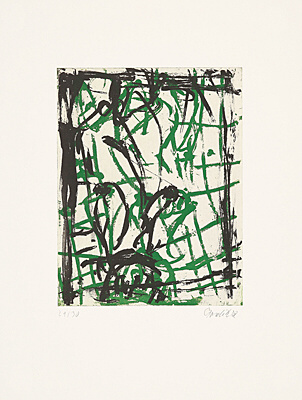 It gave him the opportunity to achieve the greatest possible autonomy of form and colour without renouncing the object, liberating it from its original value as a motif and depriving the painting of its conventionally conceived content. 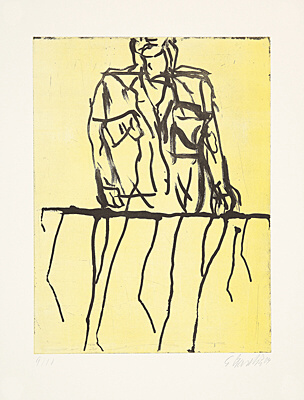 With his art, Baselitz explains his attitude towards his time, society and the other contemporary art that surrounds him. 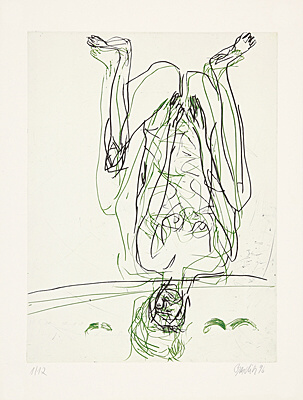 His art stems from an intellectual analysis. 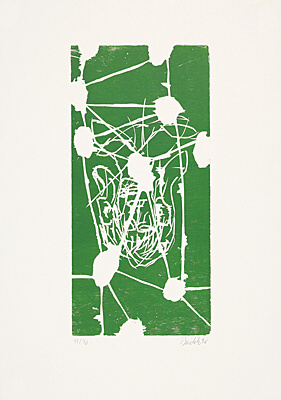 Most of his motifs have biographical references. 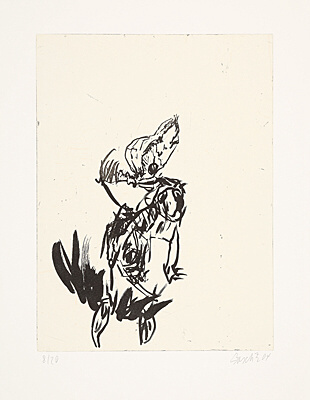 Baselitzs oeuvre of paintings and drawings has been accompanied by prints since 1964. 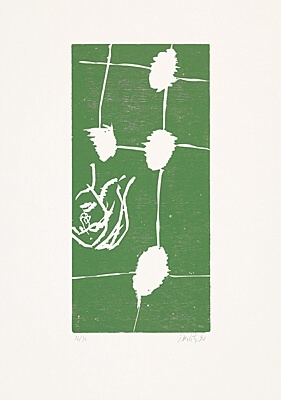 From the very beginning, he proved to be an excellent printmaker who was also keen to experiment. 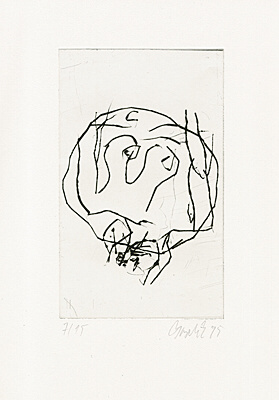 My primary concern is that, if something has changed in my work on pictures and sculptures and drawings, or if a new idea has arisen, I use it and execute it in a printing technique as correction or as clarification, as an exclamation mark. (Georg Baselitz 1989) In doing so, he always reflects on the specific conditions of the medium and consistently exploits and expands the possibilities of the various processes (etching, woodcutting, lithography). 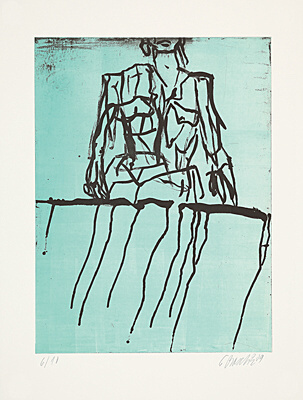 In 1963, his first solo exhibition took place at Galerie Werner & Katz in Berlin. 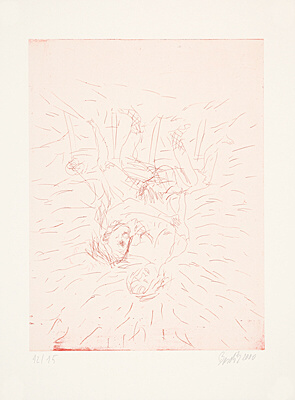 The paintings Big Night Down the Drain and The Naked Man appeared so offensive that they were confiscated by the public prosecutors office. 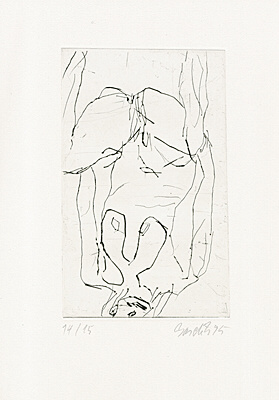 In 1965, Georg Baselitz received a scholarship for the Villa Romana in Florence. 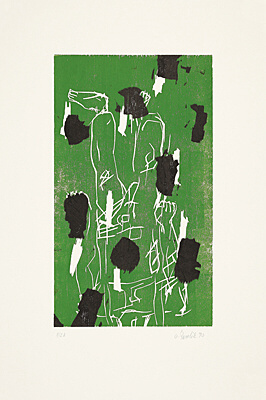 In 1977, he was appointed professor at the State Academy of Fine Arts Karlsruhe, where he taught until 1983. 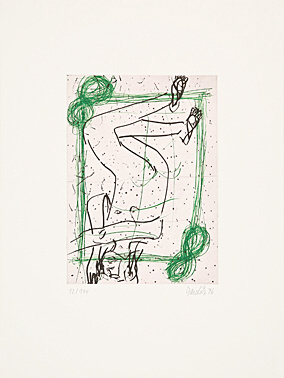 From 1983 to 1988 and again from 1992 to 2003, he held a professorship at the Berlin University of the Arts (HdK).